Great article today, Sig. I couldn’t agree more that Standard has reached its peak in terms of price. Even fetchlands, which many players are holding onto, won’t get too much higher than this right now due to the new rotation schedule. Shocklands are interesting to me. 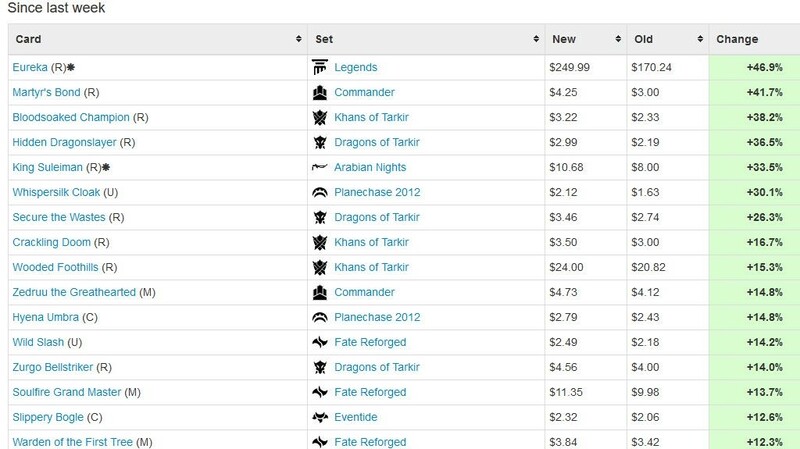 I wonder if Wizards has a decade-long plan to make sure that these lands mostly never stay about $10 too long, because they sure did their damndest to make sure that players weren’t priced out from these guys by reprinting them in Standard rather than Modern Masters. Thanks for the comment! Last weekend I was struggling to come up with a topic because nothing in Standard really excited me from an investment standpoint. Then the lightbulb went off – nothing in Standard interests me because we should be looking to sell in this market and not buy! 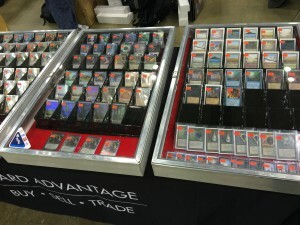 You bring up a unique risk with shock lands – does WOTC have motivation to keep these cheap? I suppose so. But I don’t think their response time is so spot-on. In other words, these could jump to $15 and it may take 2 years for WOTC to have reprints out…not to mention all the other cards WOTC “needs” to reprint to keep Modern costs down. Fetches come to mind first. Either way I don’t think I’d advocate buying shocks and sitting on them for years…I’m hoping a 6-12 month time horizon is sufficient.